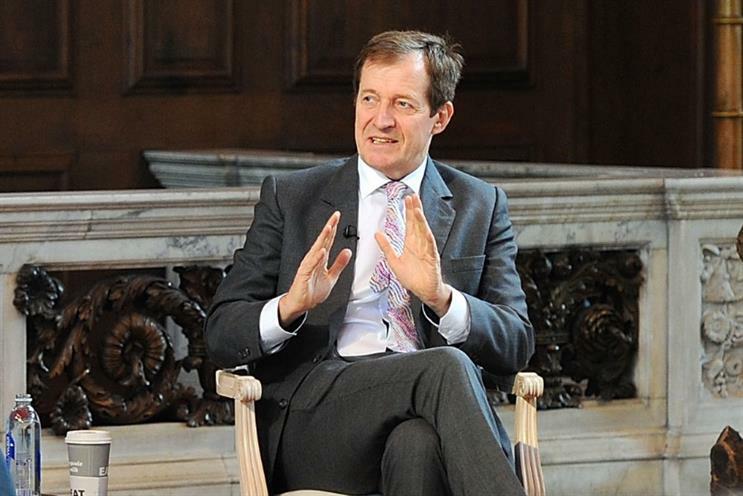 Today's crop of leaders are becoming increasingly tactical and abandoning strategic thinking to their detriment, according to the former New Labour spin doctor Alastair Campbell. Speaking today (23 March) at a Marketing Society session at Advertising Week Europe to promote his book, ‘Winners and how they succeed’, Campbell warned that the "pressures" of the modern world were changing the nature of leadership. "Very few leaders have a sense of strategy," he said. "They’re all buffeted by tactics. To me, the response in this ever-more tactical world should be to be more strategic. "Strategy should only change once the fundamentals change," he said, quoting chess champion Garry Kasparov. But Campbell, whose book draws on his interviews with leaders from the worlds of business, culture, sport and politics, admitted that Chelsea FC manager Jose Mourinho disagreed with his theory, believing instead that "strategy is a move you make when the tactical model is failing". Turning to the issue of women in leadership, Campbell highlighted German Chancellor Angela Merkel and US Vogue editor Anna Wintour as "exceptional people". There were less female winners, in terms of how he had defined them for the purposes of his book, but this was because "we still live in a male dominated world". On Merkel, he said: "As a modern leader, she’s an antidote to the pressures that people feel they have to respond to all the time. David Cameron is the worst example of this," he added. In another dig at the prime minister, he denounced Cameron’s announcement of a referendum on Europe as a tactical move made purely to head off the popularity of Ukip and its leader Nigel Farage, and not because the PM actually wanted to leave the European Union. "The idea that he couldn’t have defeated him in argument over four years is just nonsense," Campbell said. During the audience question time, Campbell touched upon his involvement with ad agencies during his time running election campaigns. He singled out his dealings with BMB’s Trevor Beattie, who created the famous poster of William Hague with Margaret Thatcher’s hair, as the "perfect relationship".